MediaCom has retained the number one spot for new business wins for the month of July according to the latest data from marketing tech firm R3. The WPP-owned agency capped off a stellar month with new business wins that included American Airlines and Uber. 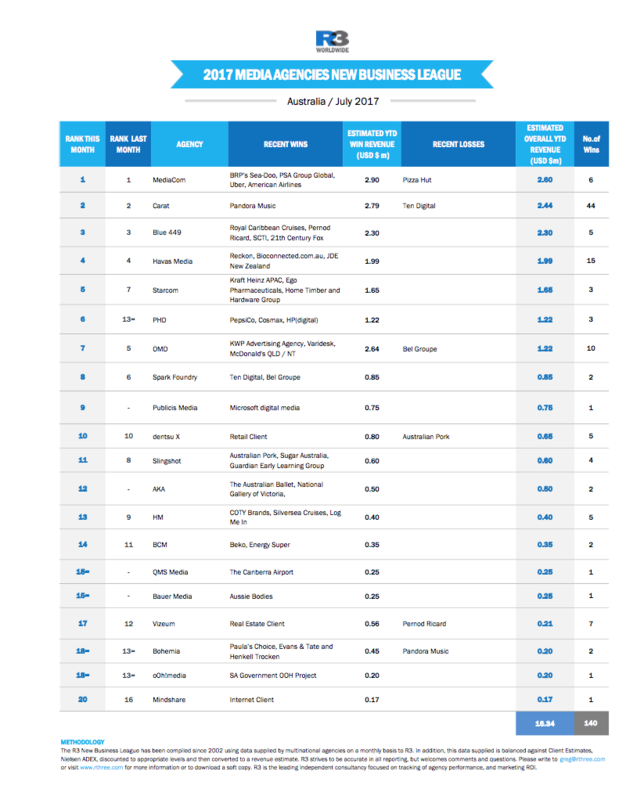 According to the R3 results, Carat held onto its second position from June, with Blue 449 third, Havas fourth and Starcom rounding out the top five. PHD was the month’s biggest mover, rising seven spots to number six on the list with wins that included Pepsi, Cosmax and HP Digital.